Freshly Completed: The Completed Quiet Book! After Years, Months, and DAYS of preparation. I gave it a simple (-- too simple?) leather cover for the front and back. 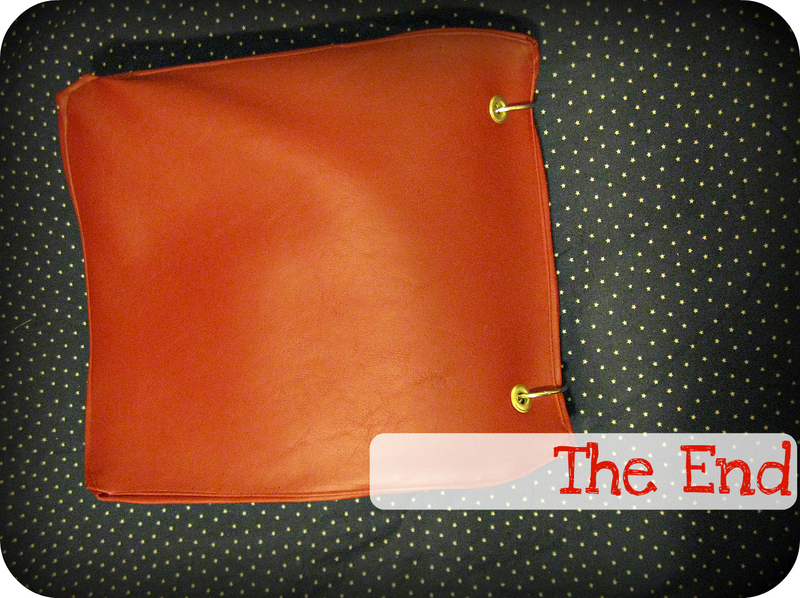 I wanted something really sturdy that would protect my little book. I might go back to the cover some day and add something to it, but for now it suits me. 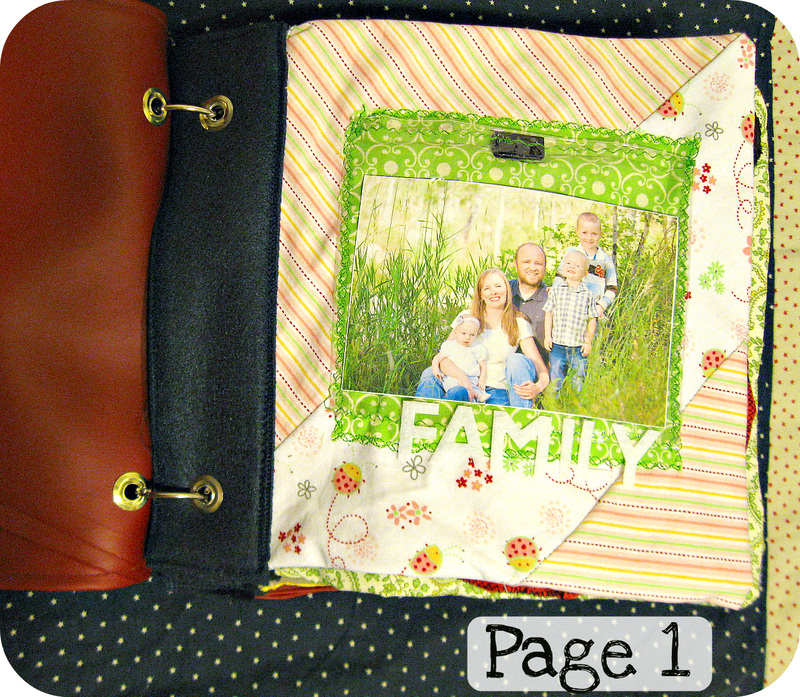 Page 1 is a simple page with just the word FAMILY and our picture. All around the green fabric I sewed on clear vinyl so the picture is removable. 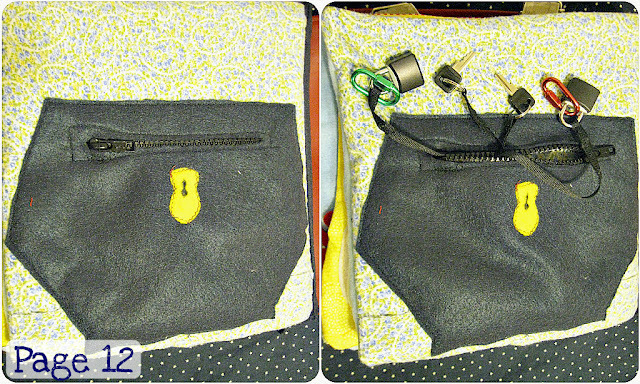 It is closed with a small piece of Velcro. 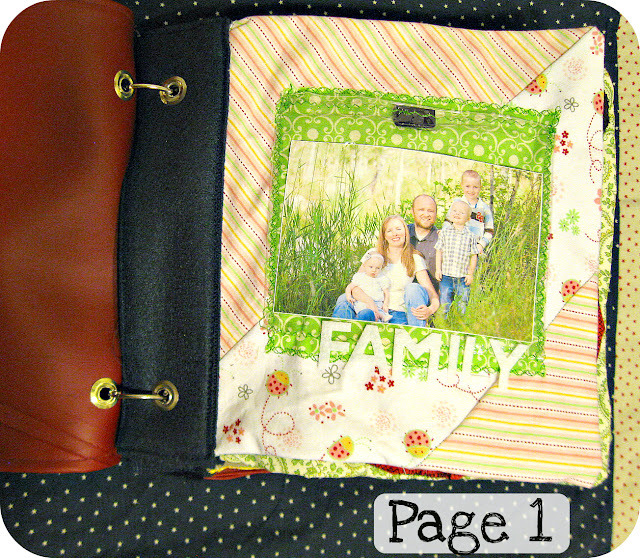 Page 2 is the Family Tree page (click here for the tutorial). The kids can put the apples where ever they want. The pictures are sewed on with clear vinyl and are placed around the tree with velcro. 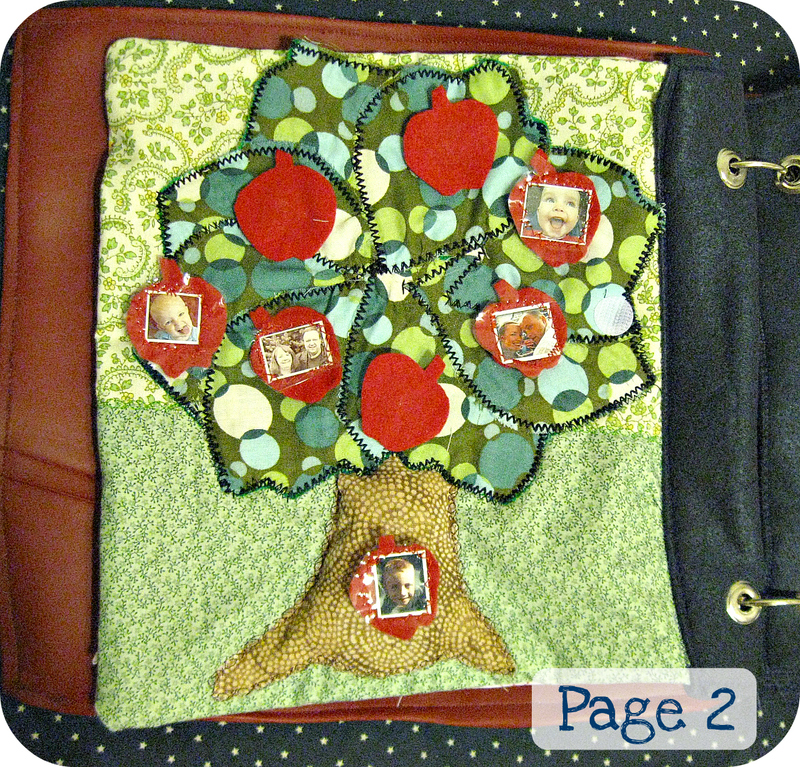 The apples are stored when not in use behind the tree. 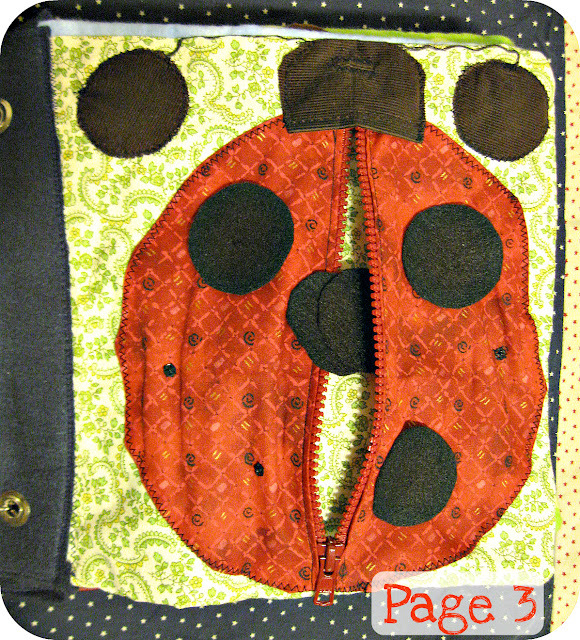 Page 3 is Miss Ladybug where inside the zipper is the lady bug's circles which can be attached onto the ladybug with snaps. Page 4 is a simple countdown and blast off to the moon. The next two pages I made sure were next to each other. I really loved making these barns. Page 6 is the Tractor Barn. 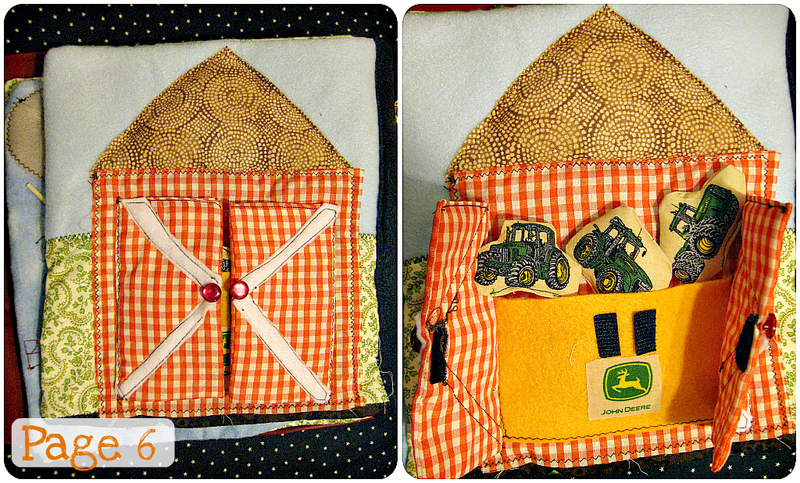 I bought some John Deere fabric that I couldn't resist making soft tractors with. Page 7 is the animal barn with 4 little finger animal puppets. 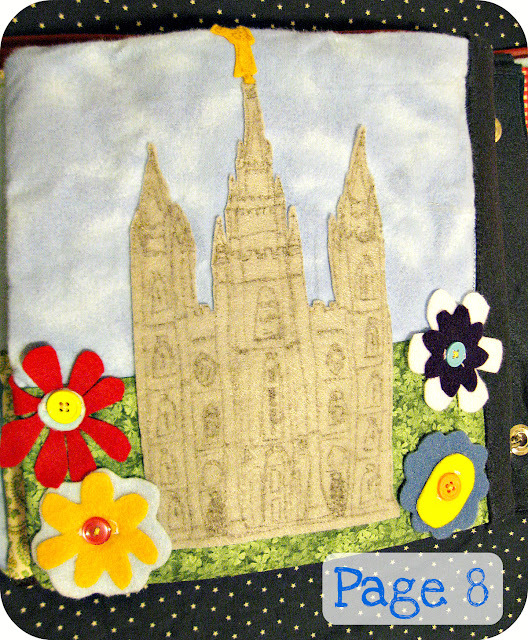 Page 8 is the Temple page with felt flowers that can be rearranged with the buttons. 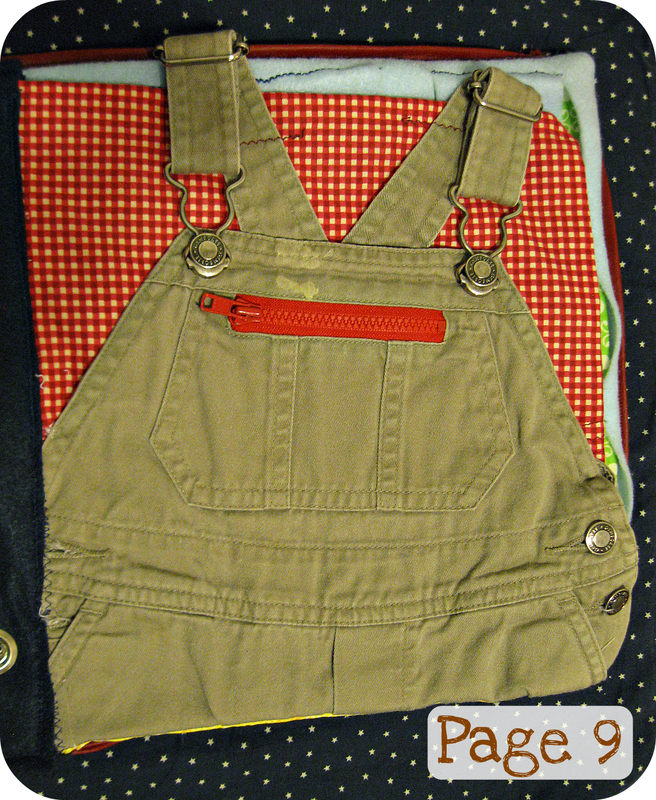 Page 9 is straight up kid overalls that the kids can practice doing different snaps and zippers. 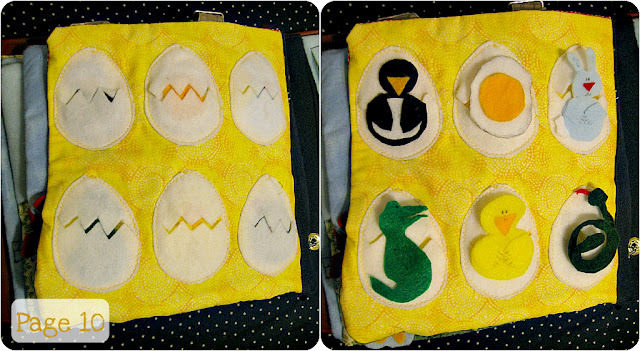 Page 10 is the egg page with six different little guys in each egg. 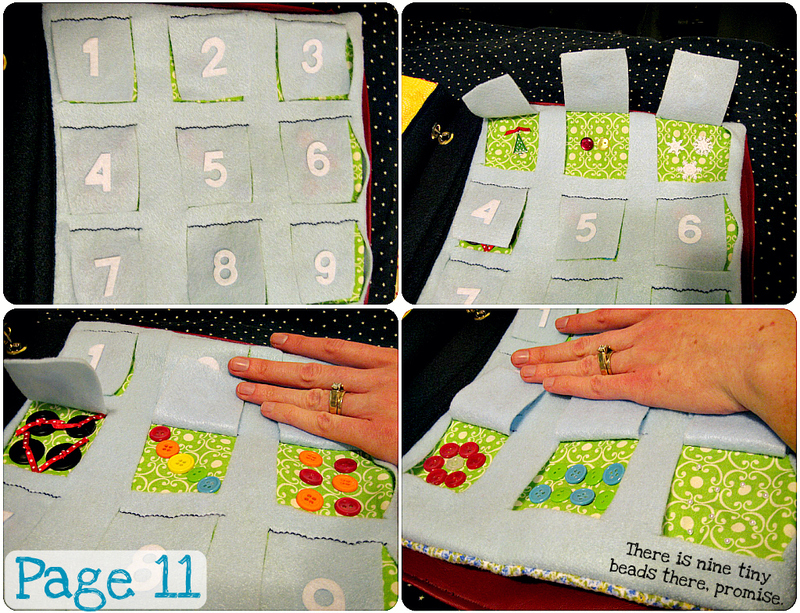 Page 11 is the counting button page. Page 12 is actually the favorite page and has gotten the most played with. The kids take out keys and locks and try to figure out which key goes to which lock. What a Fun project this has been. It really did not necessitate three years of my life to make....but you know how these things go. 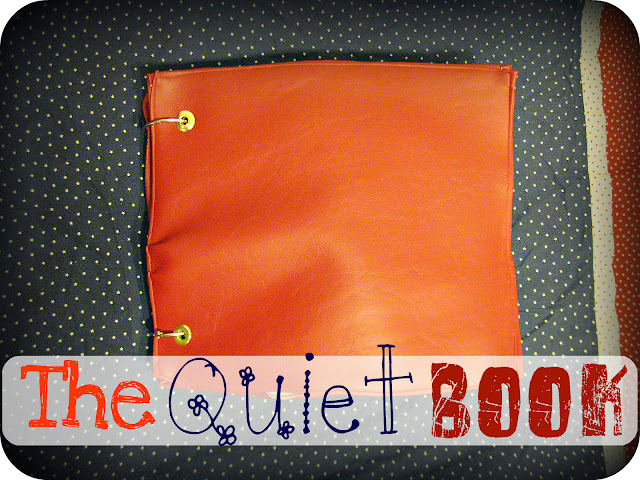 If you haven't seen my other posts dedicated to the Quiet Book this week, here they are. o girl i totally love it!!! thanks for sharing:) i will be featuring it on tuesday!! Um wow. My "A" is sitting here and she definitely approves. :) It looks awesome and I'm sure the kids are loving it!!! Such a cute quiet book!!! I love the barn and finger puppets... so cute!!! Hi, Naomi, welcome to the blog. Glad to have a new follower! Thanks for the smile. This is so cute. Great job! This is so cute, I am loving the tractors. Thanks for sharing. What a fun book!!! 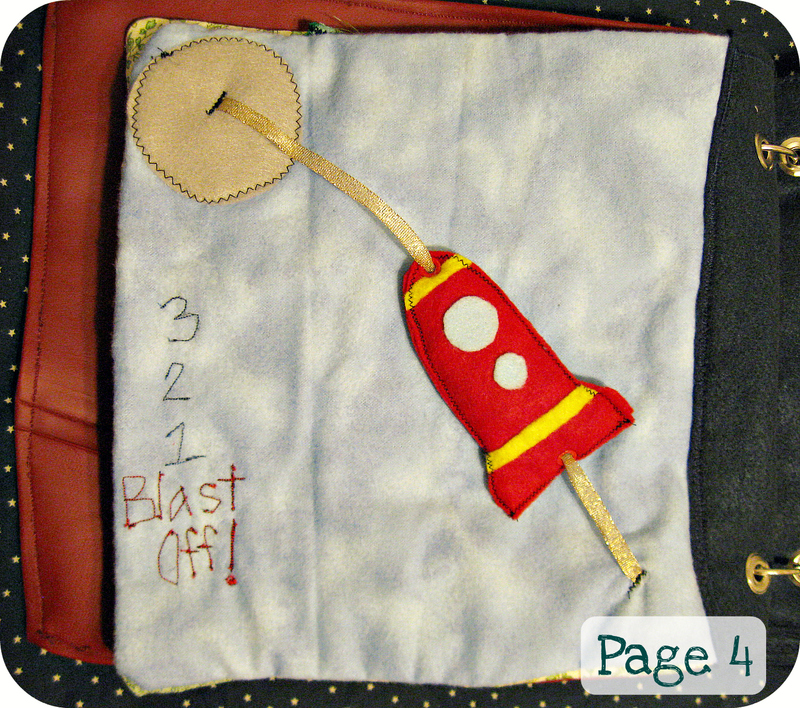 I have wanted to make a quiet/ busy book for a long time, and yours is certainly inspiring! 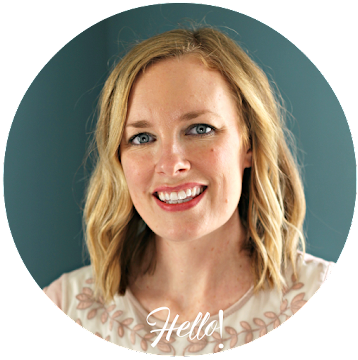 I am visiting from "The Girl Creative!" Adorable! I loved that as I was scrolling down I saw the temple! What a cute site you have! I'm excited to see all the great things you are up to! I have seen lots of quiet books going around but I think this has got to be my fave! Lots of great pages! I love it. I love this!! 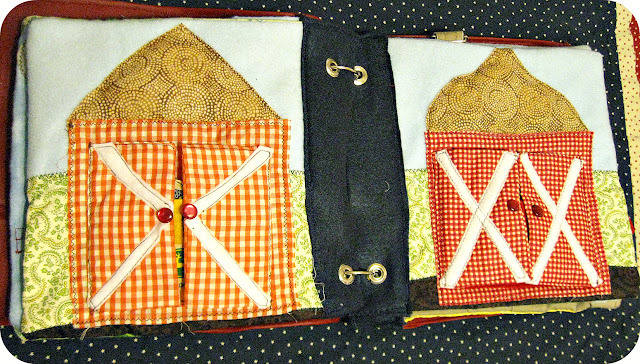 I think I have to make one of these super fast (even though I don't think that's possible!) Thanks so much for sharing... I found this post on pinterest, and I hope you don't mind if I follow you! Brooke, Welcome! Always glad to have a new follower! This is just too cute! I want to make one for my daughter for her birthday. Thanks for the ideas! 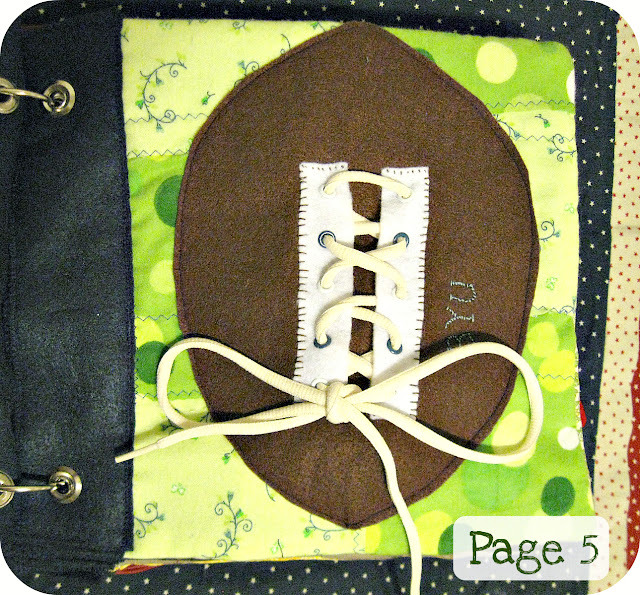 Found you at Naptime Crafters. And I'm your newest follower!